Information about events that Poetry Northwest is producing or co-sponsoring, or in which we are integrally involved. Seattle’s Favorite Poems with Robert Pinsky – Free Event! THU, SEP 18, 2014, 7:30 PM Town Hall Seattle Celebrate beloved poems with other local poetry lovers in this special event, which is free and open to the public. Initiated in 1999, Seattle’s Favorite Poems brings together local luminaries, poets, and community members for an evening of –you guessed it–everyone’s favorite poems. Featured readers include Robert Pinsky, former U.S. Poet Laureate; Poet Heather McHugh; and Aidan Lang, Seattle Opera’s General Director. Hosted by KUOW’s Marcie Sillman, the night will also feature community members reading their chosen poems. Presented by: Town Hall, Seattle Public Library, Poetry Northwest, Seattle Arts & Lectures, and Hugo House. Elliott Bay Book Company is the partner bookseller for this event. Tickets: This event is free and open to the public; no registration required. Please join us with Ed Skoog and friends for a certain-to-be-memorable two-evening run of poetry, music and performance! Where, Now? The Hugo House Theater in Seattle. When, You Ask? This weekend only. Friday August 22 and Saturday August 23 at 7:30 pm. Who Else? Sarah Galvin, Kary Wayson, Bill Carty, Sam Watts, Kevin Murphy, and more. So many more. More Information About the Event. Tickets. 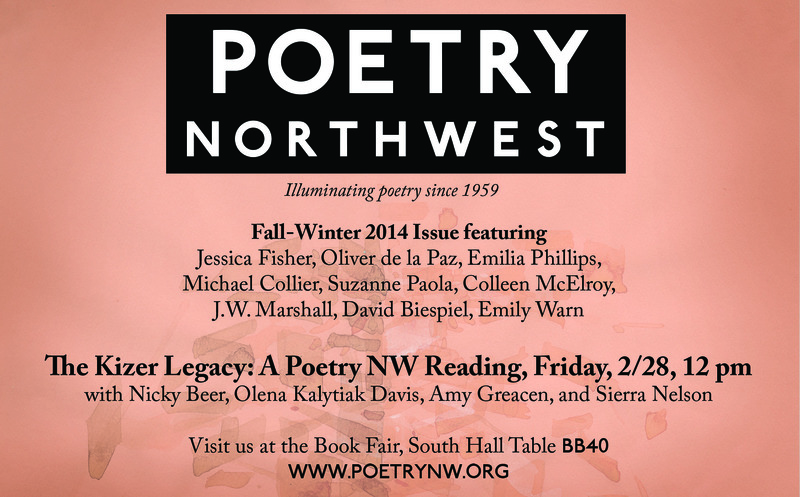 Poetry Northwest is proud to be a sponsor of the AWP Conference in Seattle, February 26 – March 1, 2014. Find us at the Book Fair (South Hall, Table BB40), along with students and faculty of the Everett Community College Written Arts AFA program, who help produce each print issue. 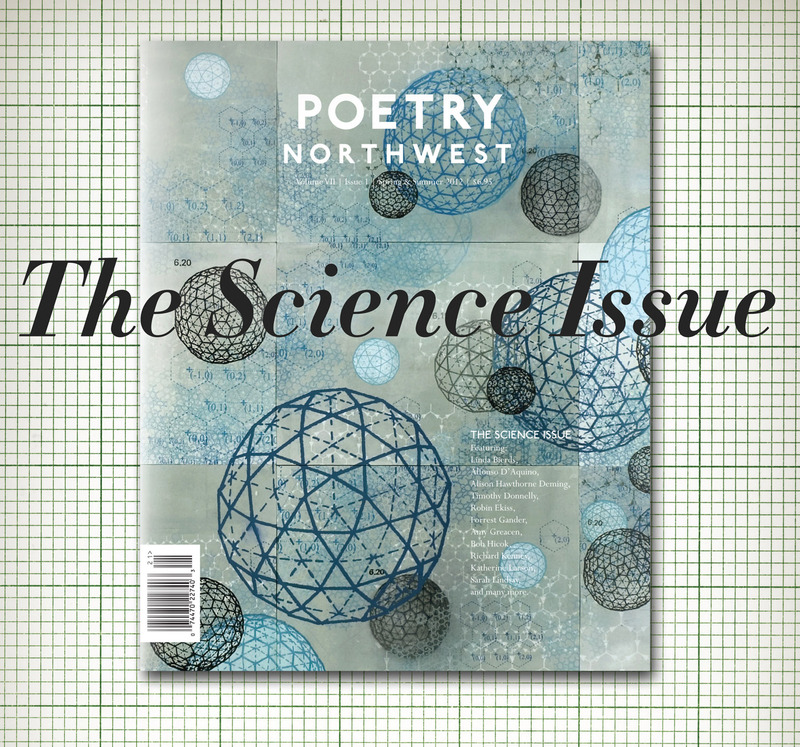 Please come visit us to pick up a copy of our latest issue, and learn about our plans for 2014 and beyond to ensure that Poetry Northwest remains the most vibrant poetry magazine in the region.